Believe it or not I actually found this Teal textured Rampage handbag from Sam's Club. It definitely was a must have, especially since it was only $30. 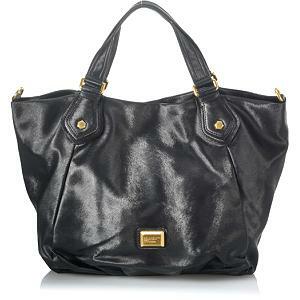 It reminded me of the Marc by Marc Jacobs Franny Tote that I've been wanting for awhile. Instead of paying the $428 that Bergdorf Goodman charges for the handbag, I happily purchased a similar style tote for a much lower price!